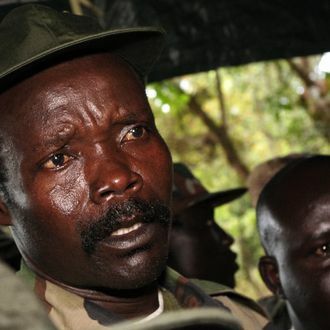 One of the top three commanders of the Joseph Kony–led Lord’s Resistance Army, Caesar Achellam, was captured by the Ugandan Army in the jungles of the Central African Republic after a firefight with the U.S.-backed Ugandan troops on Saturday, according to a military official. Achellam was a major general in the rebel ranks of the brutal LRA. “Achellam is alive, and we are expecting him at Entebbe airport today,” a spokesman for Uganda’s army said. Aided by 100 U.S. military advisers, the army continues to hunt for Kony himself. The United Nations recently said that Kony’s capture was imminent.